Announced by Sony at MWC 2016 in February, the Xperia X Performance, Xperia X, and Xperia XA (pictured above) will only be available to buy starting June. According to Xperia Blog, folks who've pre-registered their interest in two of the new phones are now receiving emails from Sony informing them that pre-orders are around the corner. Apparently, customers who pre-order the Xperia X, Xperia XA, or the Xperia Ear headset will get "an exclusive offer." At the moment, we don't know what this offer includes, though it could be about reduced prices, or some freebies bundled with the new Xperia devices. It's not clear if those who pre-order the Xperia X Performance will also be entitled to this exclusive offer (as you can see in the image below, only the Xperia X and Xperia XA are mentioned). Anyhow, all three upcoming Xperia X handsets will be available in the US. Most likely, they'll be sold unlocked, unless Sony surprises us by striking a deal with a carrier - which hasn't happened recently. Sony already confirmed that the Xperia X family replaces the Z series. 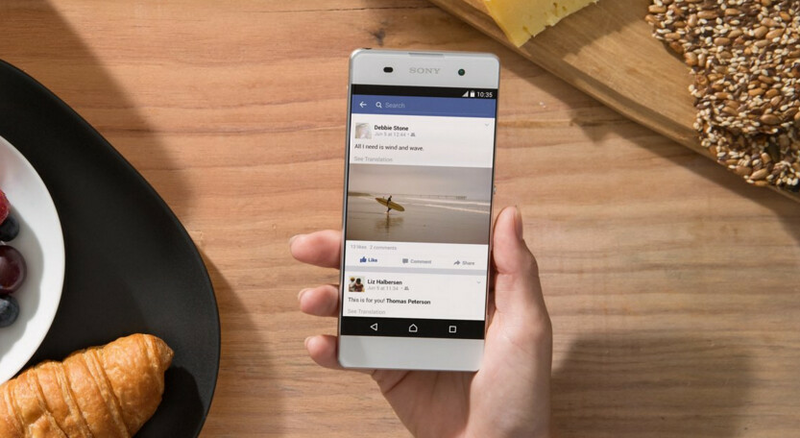 Thus, the Xperia X Performance seems to be the company's next flagship smartphone, succeeding the Xperia Z5. The Xperia X Performance and Xperia X have a lot of things in common, including 5-inch 1080p displays, 23 MP rear cameras, 3 GB of RAM, and 32 GB of expandable storage space. However, they feature different metal finishes, and different processors: the X Performance is powered by the high-end Snapdragon 820, while the X uses the mid-range Snapdragon 650. As for the Xperia XA, this sports a 5-inch 720p display with almost no side bezels, and is powered by an octa-core MediaTek Helio P10 processor helped by 2 GB of RAM. To find out more about Sony's new smartphones, go check out our Xperia X, Xperia Performance, and Xperia XA hands-on (video included). That's a pretty solid looking phone. I might switch from Sprint just to get the X performance. Always loved the Sony devices. Go with Tmo if you switch.....You probably know already but I just thought I'd tell you anyway. Yup. Tmo is probably the best bang for buck provider. Their coverage has gotten way better the last 2 years. Sprint never offered any xperia devices. Yeah, X performance looks solid. I was starting to forget about the X line already. Let's wait a little longer, patience my friend. Sony's lineup this year is not as interesting as Samsung, LG or HTC. One week ago, I bought a brand new Z3 for $250 to replace my Z. Couldn't be happier with its consistent of 7+ SOT. No doubt z3 is still the king of xperia batteries. Z3 is still a good buy. I love the design of the Z3 better than z5. And the phone has a pretty good stamina in terms of battery life. I always got 5+ hrs of SOT on my Z3 while using kitkat . Lollipop kind of killed it. 3-4 hrs SOT. My New S7 edge is giving me 4-5 hr SOT. PS: My screen brightness is always at max. After sd820 products lg g5 were reviewed, I'm hoping sony could still change x performance battery from 2700 to 3000mah or more when released. 5" display and 8.7mm thickness can have so much room for the battery. I might replace the old Samsung S3 with the XA, pretty good mid-end phone. Look at those gigantic Apple bezels! No thank you. I might actually get the X, especially since it has a 1080p screen versus a 1440p one. In my opinion, 1440p is useless. Hopefully it is priced right. With the SD820 powering this, the QHD screen isn't going to bog down performance or battery life. That was an issue with older (SD810) SoC's only. Buy the Note 4 for 250$ USD or the Note 5 for 500 usd. Dont waste money on anything else. Smitten by the Xperia XA's design. A real Head turner. If Sony has used the XA's design for its flagship, it might have achieved a bigger success or atleast, more attention from the consumers. That's closest to true side bezeless I've seen. Everybody else seems to have an annoying thick black border. Love this look. You are a sheep of Apple! Apple will slave us? Go wash your face. What product you want at future? Apple Car? Apple Table? Apple Broom? What the fakk did i just read?